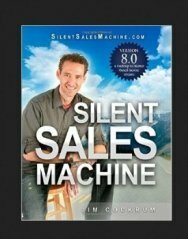 I love this article from one of the classic and most reliable work at home sites on the web: WAHM.com (click on the link if you wish to see the article). 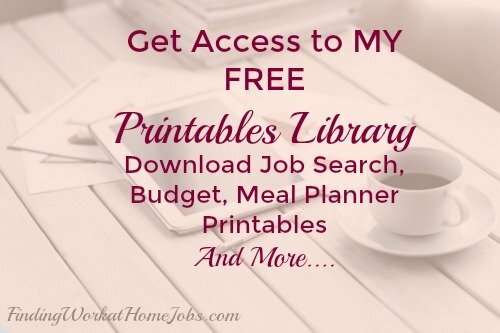 If you haven't checked out their site, you simply must, as it has lots of great information on available work at home jobs and business opportunities. But I think the most valuable free resource they offer on this site are their member forums. The member forums are free for anyone to view but you do have to sign up your email address to gain access. However, I think it's well worth it, as you get access to lots of great info and discussion from work at home moms who currently or formerly worked for many companies that offer virtual work today. 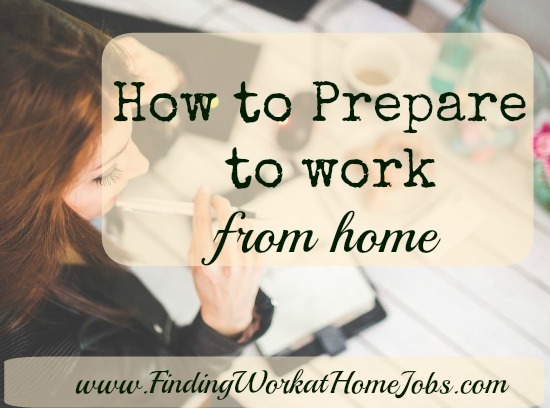 Today's article focuses on how to prepare to work from home. Let's face it, too many of us like the thought of working from home because we have this fantasy of being able to juggle doing the laundry and cooking dinner while simultaneously running a successful conglomerate from home. Well, the truth is a lot less glamorous. Working from home takes a lot of effort, time , patience and planning and organization. In fact, staying focused on my tasks at work and coming up with a practical schedule is something that I've struggled with in my work at home career and to be honest, it's something I still struggle with. Setting up a do-able schedule is key to managing both home and career, so I do recommend that you sit down and put some thought into how you will accomplish all you need to accomplish. I've found that if I write out a daily list of all the things I need to day in a particular day, it helps me figure out how much time I will have to pour into each task. Then, I try to make it into a fun game so see if I can beat the time table I set for myself. Seriously, this has helped me a ton. Taking a shower and getting dressed may seem like a silly thing to suggest but I have found that it's so easy to stay in my pajamas or sweats and just go through the day. It's been important to me to approach my work day with a fresh outlook on my day and getting dressed every morning has helped tremendously in that endeavor. I find that I get more accomplished, and am less tempted to go back to bed, when I take this extra step to be presentable. Let’s face it. Your home gig IS totally awesome! You get to earn a living while being at home with your kiddos. Be sure to treat your job and employer like you love your gig. Don’t ditch calls. Don’t ditch emails. Don’t ditch meetings. Be available. Prove to yourself that you can be a successful working at home mom. If you can do this, you can do anything! Do you feel ready to start looking for work at home jobs? Check out my daily job leads page here.